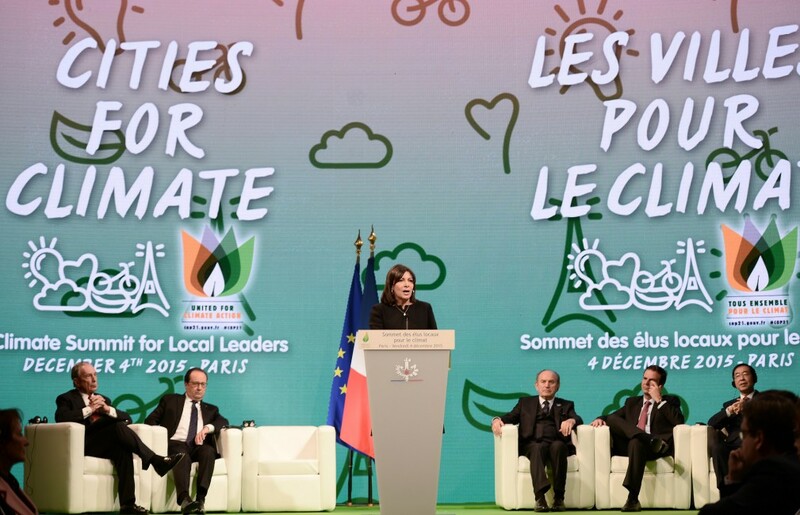 While national negotiators work to broker a climate deal in Paris, mayors from around the world showed yesterday that a global movement of local climate action is already underway. At the Climate Summit for Local Leaders, about 1000 mayors signed a declaration that supports a transition to 100% Renewable Energy. And in fact, events across the COP21 amplify the leadership of local governments and their important role for combating climate change. As Gregor Robertson, Mayor of Vancouver, put it in the EU Pavilion on Thursday: “Cities are the laboratories that can inform and inspire a better future. One essential way is to show that 100% Renewable Energy is viable. This is our contribution to combat climate change”. And as Vancouver, many cities in different continents are indeed ready to lead the way. “There are different recipes to achieve 100% renewable energy in cities.” says Harry Lehmann, General Director of the German Federal Environment Agency. Some of the recipes were presented in a side event in the German Pavilion on Wednesday, hosted by ICLEI, UBA, Energy Cities,Renewable Cities and the World Future Council. Växjö, a town in Sweden, decided to be fossil fuel free already in 1996. The municipality developed a partnership with local firms, industries and transport companies to achieve this goal. They created a policy commitment “Fossil Fuel Free Växjö” to stop using fossil fuels and reduce CO² emissions in heating, energy, transport, businesses and homes. 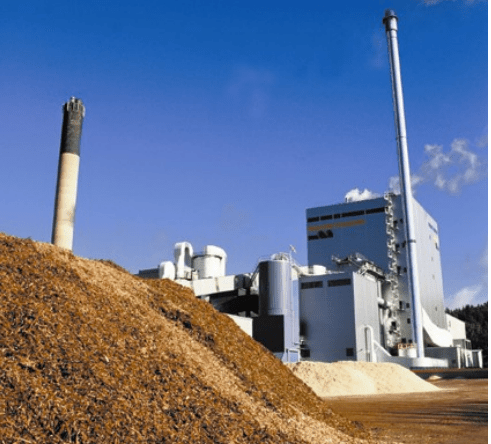 Växjö’s success story: The town`s district heating network uses heat from a combined heat and power plant, powered by waste wood biomass. 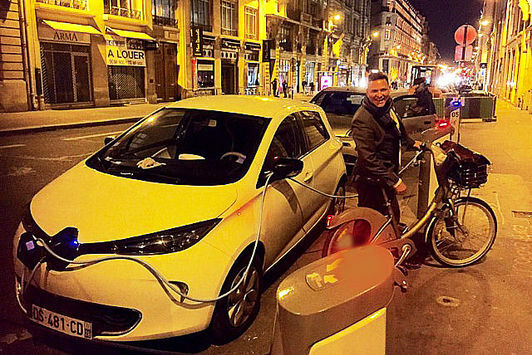 Rather than importing energy, the city taps into its local resources, with half of its territory being covered by forest, and supplies its citizens with cheap and renewable heat. But not everyone supports this: “Three years ago, the municipality of Växjö was sued by the national competition authority for requiring city owners to connect to its local district heating system”, reports Cheryl Jones Fur, Member of Executive board, present at the side event in Paris. “Only a few weeks ago, theStockholm District Court ruled in favor of Växjö, marking a victory for local sustainable energy projects that are often unable to compete with free market imperatives”. The case was grounded on the fact that it created a form of distortion and restriction of competition. Växjö created a policy commitment “Fossil Fuel Free Växjö” to stop using fossil fuels and reduce CO² emissions and have been successful in using biomass for district heating. This story shows that converting our energy system is about more than replacing fossil fuel with sun and wind as new energy sources. “The true transformation starts in the fundamental way our energy system is structured. And with it comes a battle, as power and profits shift hands from the few to the many.” says Stefan Schurig from the World Future Council during the side event. “Our current fossil fuel based energy system is characterized by complex centralized infrastructures where energy production and distribution is often held in one hand. In the necessary transformation towards 100% renewable energy, this is changing towards a decentralized, horizontal system, in which new actors and business models are required”. This is an experience that also shares the City of Boulder in Colorado, US.Council Member and former Mayor Michael Appelbaum presented how national legislation and the state-owned utility hinder local action: “The Boulder community cares about climate change. Our community wants to move away from harmful sources of energy generation, like coal, and switch to more renewable sources, like wind and solar. While we have control about land use and building codes, we cannot influence the way we generate and use our electricity. This is however the sector which causes the most GHG emissions in the city.” The electricity sector in Boulder is controlled by the state-owned utility Xcel. “In order to harvest our renewable energy potential and achieve our goal of 100% Renewable Energy, we must create a local, municipally-owned utility. We need distributed generation, an open market and an inclusive approach. But US national legislation prevents us from doing that”, says Michael Appelbaum. The example of Boulders proves the importance of policy coherence. Also Byron Shire in Australia experiences this. The city, located in the Northern Rivers region of New South Wales aims to transition the entire Byron Shire region to zero greenhouse gas emissions within 10 years. The project addresses all sectors of emissions, focusing on the five key areas of energy, buildings, transport, land use and waste. In order to realize this, Mayor Simon Richardson needs to empower new actors to engage in the energy market: “Byron Shire also acts in a limited electricity market with little competition. In order to harvest our enormous solar PV roof-top potential, we need a retailer that buys the renewable electricity from us. The state-owned companies and the national policy framework unfortunately do not help us. Therefore, we want to empower our citizens to become this retailer. In this way, the money also stays in the region and we strengthen our local economy”. Christine Milne, former Member of the Australian Parliament and Ambassador of the Global 100% RE Campaign, seconds this by highlighting: “State-owned companies have invested in centralized systems for many years, which now leaves us in a deadlock. Australia sadly enough, is an example for how old structures prevent and undermine renewable energy development. Local governments have the opportunity to democratize the energy sector”. Considering that this conversation took place in Paris in the framework of the COP21, one can be hopeful that policy-makers from different governance levels start talking to each other. Because only then, we can actually achieve our common goal: To limit global warming to maximal 1.5 degrees and save the lives of millions of people across the planet. This article was originally published at World Future Council on 05 December 2015. World Future Council represents governments, parliaments, the arts, civil society, academia and the business world. Together they form a voice for the rights of future generations.